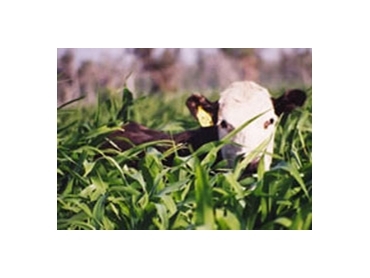 Available from Pacific Seeds , Summer grain sorghum seeds are ideal for use as pit or bunker silage, and in irrigated or dryland applications. Chopper grain sorghum is actually considered a more reliable option than corn in hot and/or dry conditions, although the potential yield of the initial crop is not as high as corn. While Chopper can produce a good grain yield, Pacific Seeds have detailed that it is not recommended as a grain hybrid, because the height of the plant would jeopardise the standability at full maturity. Summer grain sorghum seeds flower within 64 to 72 days in Queensland areas and within 70 to 78 days in New South Wales areas. Chopper reaches soft dough stage, also the recommended cutting stage, about 25 days after flowering, or within 85 to 95 days from planting. Delay of cutting can affect the feed quality and may result in lodging of the crop. Chopper grain sorghum is late to mature and will grow to a height of approximately 2 metres. The plant will have a broad and shiny leaf and produces a large, solid white grain sorghum head. Chopper grain sorghum seeds are large and vigorous, making them easy to plant to ensure good even establishment. The quality of silage obtained from Chopper grain sorghum seeds, as long as it is under good growing conditions, will be similar to that achieved with corn.